Melvin’s fort. | love lives on. You asked for a visual yesterday, so here it is. Melvin has a teepee. When I was decorating the loft there was a sad corner, full of void. I have not done a ton up in the loft (yet), but that corner was loudly empty and needed attention. I tried a dog bed but I needed something with height. Next logical choice, a teepee of course. 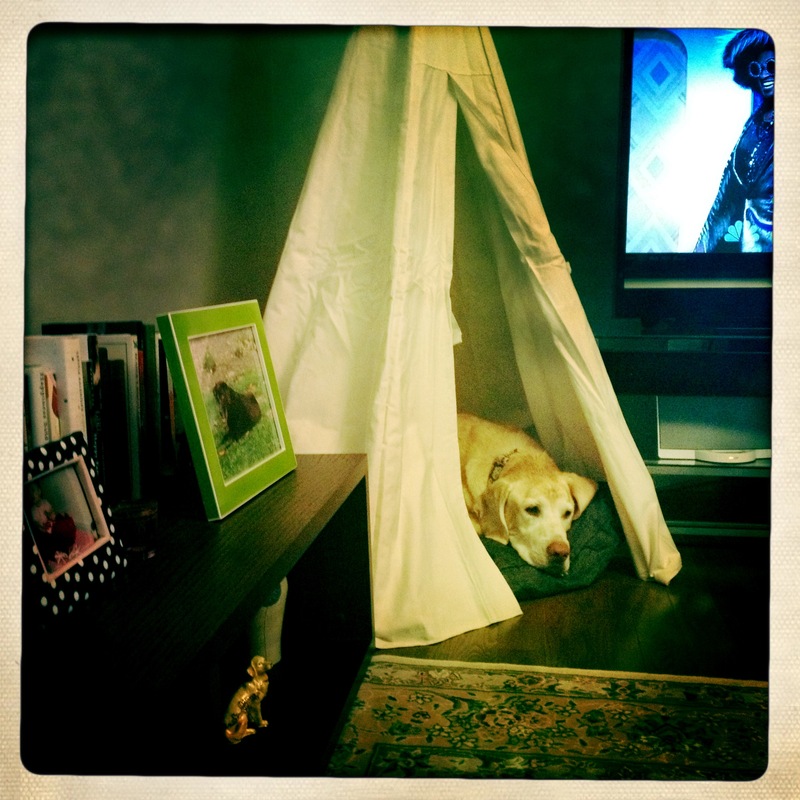 Wow, Mr. B and now Melvin…all the cool blog boys have a teepee, Oscar is going to get jealous! Oh Mr. B’s is the real deal! When I put ours up I had no clue if he’d even get in it! Oh wow, I love it! Melvin is one lucky boy! I think he’s gone it all of ten times, usually when we are in the loft he likes to opt for furniture if any’s available! That’s awesome! 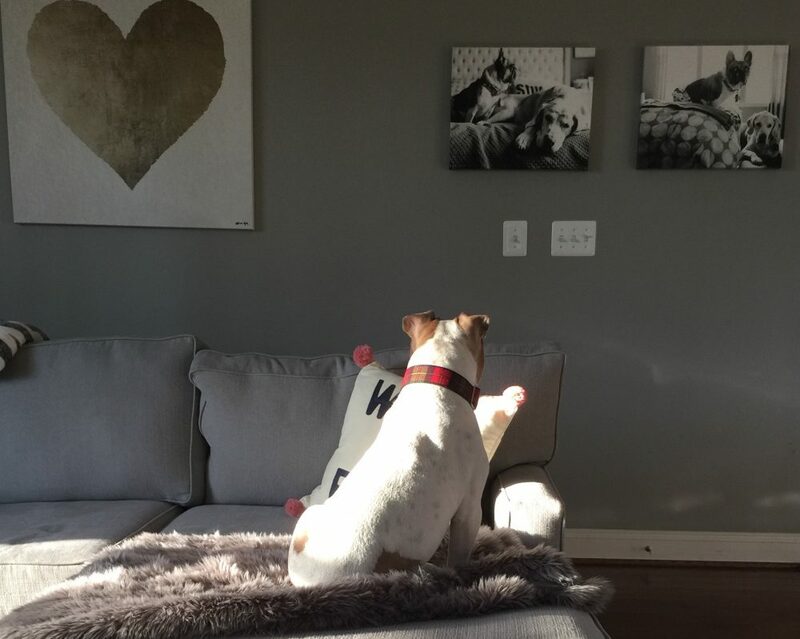 I bet my boys would love something like that, but we just haven’t got the room. It does take up a lot of space, that is not as wide as that one even goes! Hahaha, so Melvin might be a little bit spoiled? Love it. 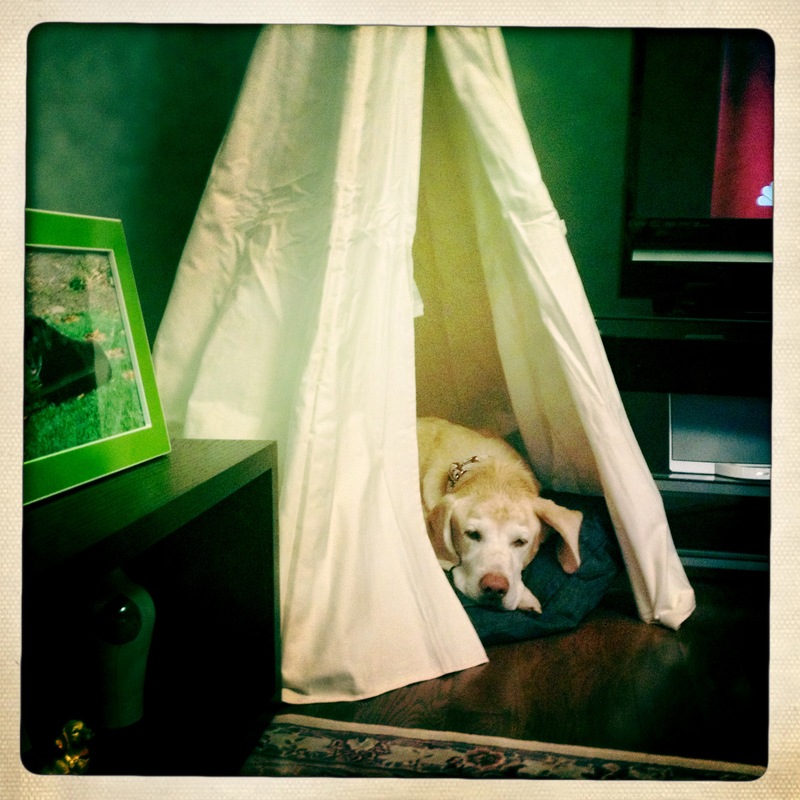 Apparently teepees are all the rage! I wish he loved his as much as Mr. B! He loves it most when kids are playing in it! Nola probably needs one now! She would probably agree with you, but she already has THREE dog beds and we do not have enough space in our tiny house for a teepee too. We are however, looking to upgrade our digs, so maybe with more square footage she’ll get a fort of her own! Teepees are the new crate! Love it! Lurve it. So, so much. OMG!!!!! I’m obsessed with Melvin’s teepee. I want one for myself and 4 (one for each bed) for Mazzie. So practical, unique, smart and chic!